Same as used by U. S, Signal Corps. 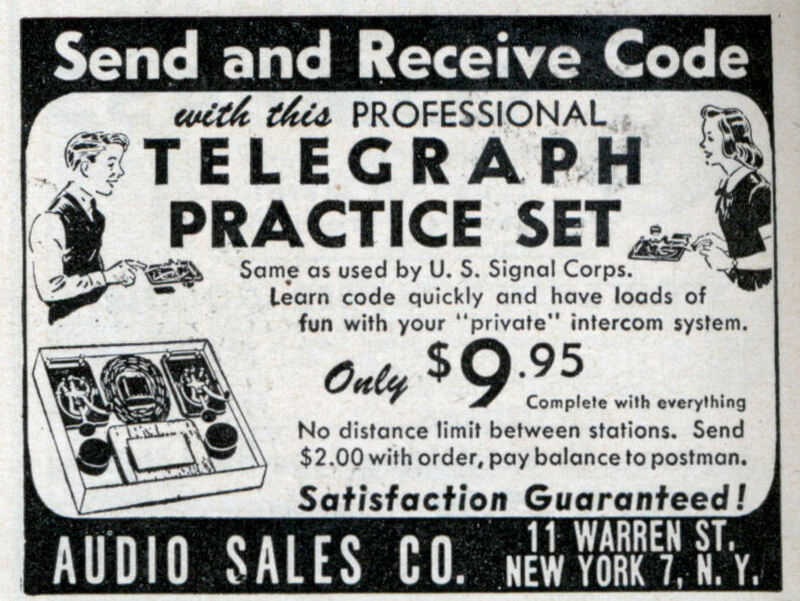 Learn code quickly and have loads of fun with your “private” intercom system. Only $9.95 Complete with everything. No distance limit between stations. Send $2.00 with order, pay balance to postman. 11 WARREN ST. NEW YORK 7, N. Y.